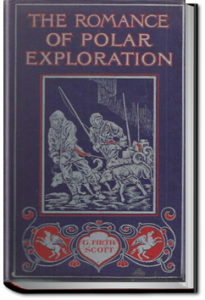 While stories of the Polar explorers and their efforts to reach the Poles have been told again and again, the constant renewal of expeditions adds, every year, fresh incidents to the record, until it may almost be said that the fascination of the frozen regions is as inexhaustible as the list of Polar heroes is illimitable. Nor is the interest confined solely to the achievement of modern explorers. However great the results of their exertions may be, the fact that, in spite of all the advantages conferred by recent scientific discovery and modern appliances, the explorers of to-day have failed to penetrate the uttermost secrets of the worlds of ice, renders more impressively heroic the struggles of the earlier travellers, whose equipment, viewed in comparison with that of modern man, was apparently so inadequate and often inappropriate.